I have quite a number of friends who like or repost stories with shouting headlines and containing claims apparently designed to feed fears. What amounts to fear-mongering propaganda is wrapped in the trappings of legitimate “conservative” news sources. Unfortunately, most of it, while at some level based in a true story, is so badly blown out of proportion and hyperbolic that it is a dishonest representation. Now, these purveyors of hysterics and half-truths may or may not be intentionally distorting the reality. But I suspect there could be a bit of an ‘ends justify the means’ mentality and an idea that their twisted versions of a story represent a greater truth or reality. I think every journalist does pick and choose what facts are relevant and how they present a story does reveal their personal bias. However, to me, there is a level of this that is unintentional or within reason and a level that is inexcusable. From that opening paragraph one could assume there is a direct threat to freedom of speech posed by a group of people. 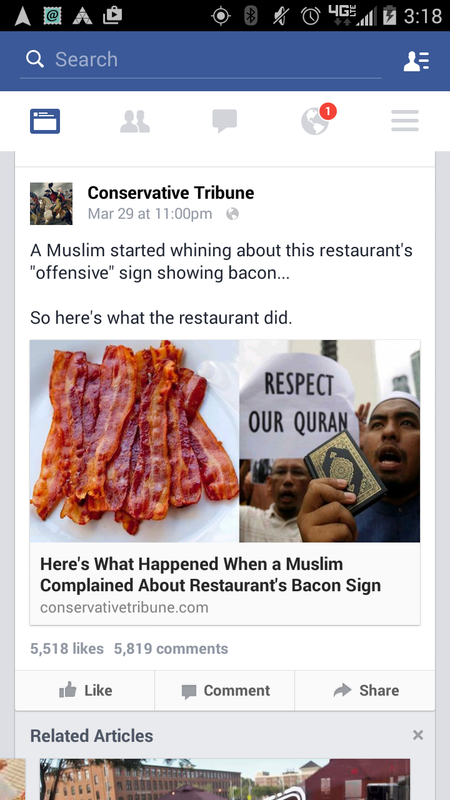 The article goes on to discuss a solitary example of a business owner who took down a sign because “an outraged Muslim woman” complained about it. There are no further examples given and no evidence that this woman speaks for a plurality of Muslims. The complaint of one woman does not seem to match the “Muslims in Vermont” description above it and that is quite an over-statement. What’s the problem? Well, if one woman can speak for “Muslims in Vermont,” then I suppose Westboro Baptist speaks for Christians in Kansas, right? Concern for Safety or Fear of Violence? I cannot fathom how one could make that leap based in the known facts. It doesn’t “make it sound” as if he feared violence from Muslims to me. No, it makes it sound as if the restaurant owner read the woman’s letter and was responding to the excerpt of her letter I posted above. The concern for safety she mentioned was having a business sign creating a distraction. So basically we have a woman with an opinion and a business owner willing to accommodate her preferences. It hardly seems like a crisis of Constitutional freedom when a woman exercises that her right to express a controversial opinion. But it does seem a case of journalistic malpractice to make one woman into a representative of Muslims or categorize her as an “acolyte of Shariah law” because she expressed a concern. The real threat to liberty is those who abuse it. I am more concerned over reckless surmises and the feeding of irrational fears than I am of one woman exercising her freedom of speech. Her opinion, while I disagreed with it, was reasonably explained and it is her right to express it. The response was a distortion at best, slanderous at worse and one of many similar stories. Unfortunately I cannot respond to every internet hoax or propaganda piece and even if I did the chances of my words reaching through the mess and changing minds already made up seems slim. Still I do try to make a difference. My boss and I generally get along well. He has his preferences, I have my own preferences and usually we are able to find an agreement. But occasionally there are times of conflict as well. Most of the conflicts are caused by abuse of exceptions. Exceptions are those times when my usual ‘rules’ are stretched to allow something I otherwise do not tolerate. Surprises, working weekends or working too late on a Friday are some of my understood (but unwritten) terms. It is reasonable in the industry I am in that some flexibility is required. Delays often arise that are no fault of my employer and are the surprises I must tolerate to be reasonable. Then there are favors or the times I am flexible just because my boss is my friend and I want a good relationship. I will sometimes break my rules voluntarily as a matter of good will. However, there seems to be a limit to how many exceptions can be made before the exceptions begin to become the rule. If I do too many favors soon they become expected entitlements rather than appreciated exceptions. When I feel the balance of our mutual self-interests has been violated too far I will respond with protests. I suppose if my boss would not respond appropriately there would be further reaching consequences. Individuals make arrangements between themselves my boss and I do. Groups of people also make arrangements with their individual parts that allow exceptions to the general rules for representatives of the group or to benefit exceptions within the group. For example, there is an expectation that if one wants to eat they should work, but we do make exceptions for children and the disabled. But that list of beneficiaries can eventually grow to include irresponsible adults and those less truly disabled. It can also morph from being a special exception into an entitlement that is eventually is unfair to those paying the cost and abuse. 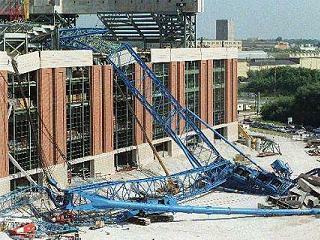 If the group never considers the needs of exceptions that is also a failure and negligence. It may not be at a noticeable cost to the group right away when the weak and minorities are unprotected or considered only an afterthought, but there is a cost even if it isn’t measured in financial losses. Lack of compassion is a moral loss. This complex mobile of competing interests must constantly be fine tuned to maintain an appropriate balance. Part of balance is order of priority. It is recommended in an airliner cabin depressurization emergency that adults put their own masks on first so they aren’t incapacitated and unable to help others. Rules must always define the exceptions in the same way the gravity that defines the order of a mobile must be respected or chaos will be the result. 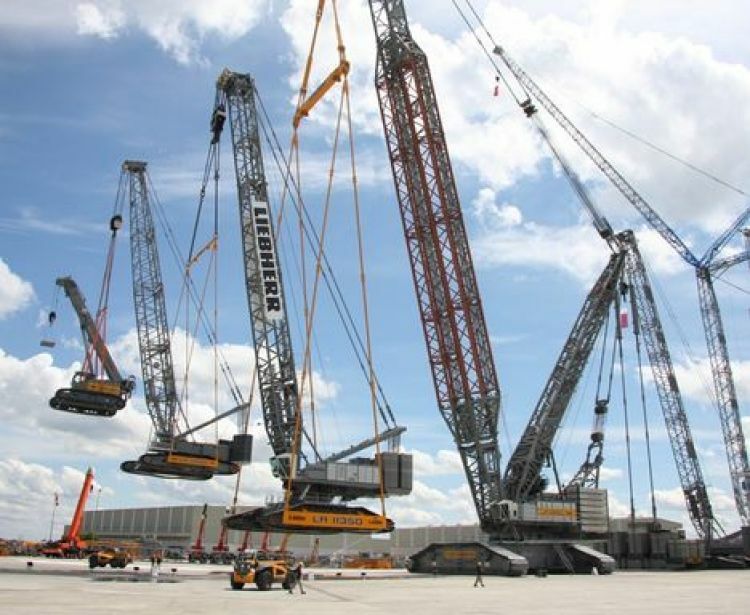 The picture of the Liebherr crane mobile above (watch this video) is a prime example. It is an exceptional display of engineering and some flexibility in weight bearing capacity, yet there are underlying rules that must be followed or the whole system will collapse. 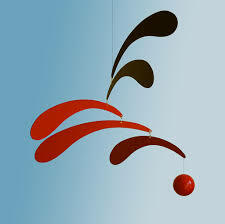 Prevent disasters by finding a balance that puts rules and exceptions in proper order and plans for the winds of life. But who says I need to turn my love of my mom into a once a year cliché? Traditions have a place for expression of love and appreciation. However, spontaneity seems to have a more authentic or genuine ring to it and I know moms need love from their children year round. I’ve been struggling trying to blog. I have plenty of ideas. 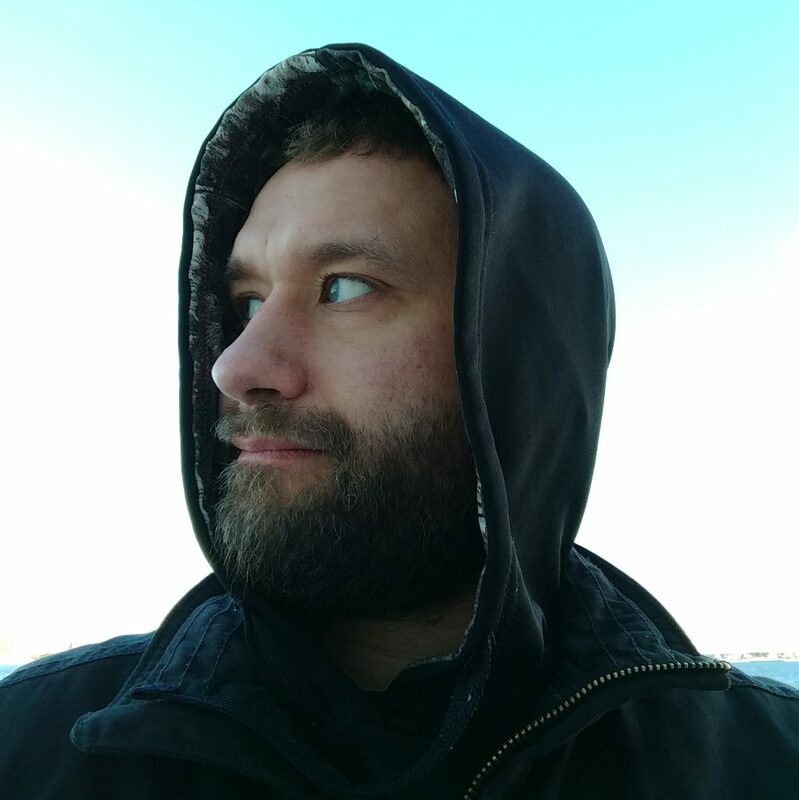 I’ve started numerous blogs. I’ve even published some only to later remove them because they weren’t well-written and thought out. My mind is just moving too fast right now. I have something else sucking the oxygen out of the room that makes focus on anything else next to impossible. Then, after several failed blog brainstorm thoughts, I realized there was one topic that could keep me fixated for long enough to finish the thought. It is the person who sees the best in me. Despite my imperfections and flaws, my mom still loves me deeply. I owe her more than I could ever think to repay. I would not have made it through the past year without mom. I’ve had some deep struggles, probably deeper than any I’ve had before in my life, and sometimes my only remaining motivation for living was to not disappoint my mom. It is why I weep at the thought of losing her. Don’t get me wrong, there are certainly others who deserve a portion of the credit. I am grateful for brothers, sisters, pastors, friends and my dad for their investments. I have deep appreciation for the time and resources they have invested. However they have not combined matched the contribution of my mother in loyalty, patience, wisdom and depth of concern for my well-being. I think it is easy to gauge our worth to another person. Simply estimate the amount of time it would take for them to realize you are gone. If I were abducted by aliens it could be weeks (even months) until my friends noticed. Certainly my presence on social media would drop suddenly and somebody may notice, but not many would raise an alarm. But there are two people who would know. One would be my boss when his faithful employee was a no-show and didn’t respond to his frantic messages. The next is most definitely be my mother who has an awareness of when we last spoke and checks in if she doesn’t hear from me. True concern is what makes a mom special. But it goes beyond that too. My mom understands me in a way nobody else does. I spent more of my life with no other person on earth. I share some of her personality. She carried me for months before I was even born, sang to me, fed me and encouraged. It was mom who always told me I survived a traumatic birth experience for a special purpose. I’m not sure I have found that special purpose yet, but I do know my mom hasn’t given up on it and therefore how can I? I don’t want to disappoint my mom, I’m her sunshine after all, right? My mom will tell me when I’m wrong. However, unlike the world that piles on when you need love with criticism or condemnation, I have a mom who will help untangle, pull away weighted objects and dig through the mud to find me in the pile of rubble. Her hug is worth more than a million words of unsolicited advice from those thinking that’s what I need. I have an extraordinary mom. I have a mom who is intelligent and wise. I have a mom who has overcome many obstacles that may been too much for a weaker person. She gives me hope when I can’t find my own and love rather than judgment when I fail. My mom isn’t perfect. In fact, my mom is much like me and very human. We don’t always agree. We argue sometimes. She’s stubborn and opinionated. Yet none of that makes me love her less. If my mom were flawless could she love me? I mean, love has a component of grace and grace is somewhat a product of knowing how difficult living to a high standard can be. Anyhow, Mother’s Day is a day before my birthday this year and I like that coincidence. But my mother has my undivided love year round because there is simply no other in my life like her. I would be lost in the world without my mother’s love. Her love is the color in my world. Conventional wisdom is usually your best bet in many circumstances. But there are times when following regular protocol and procedure is not a good option. Following the rules can ensure failure in some cases. What I have in mind is a story from the waning moments of the Vietnam war and an amazing last ditch effort. 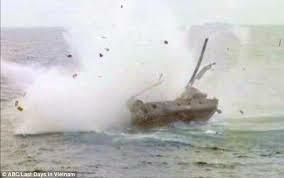 In a desperate bid to escape a Vietnamese pilot commandeered a Chinook helicopter, loaded up his family and headed out to sea. Short on fuel they found the USS Kirk. 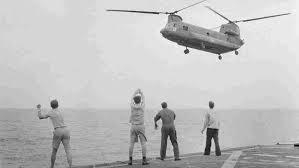 Unfortunately, the large twin rotor helicopter was too big to land on the ship, but undeterred they hovered over the deck and dropped children into the waiting arms of sailors. The copilot bailed, but the pilot had to find a way to ditch in the ocean and survive. So he lowered the aircraft, tilted it one way and jumped the other. His strategy worked. The pilot survived the crash unscathed and was rescued. Following the rules would not have produced the desired results in those circumstances. Determination, not losing hope despite obstacles and creative effort were the keys to success. Sometimes winning requires wrecking a few helicopters.